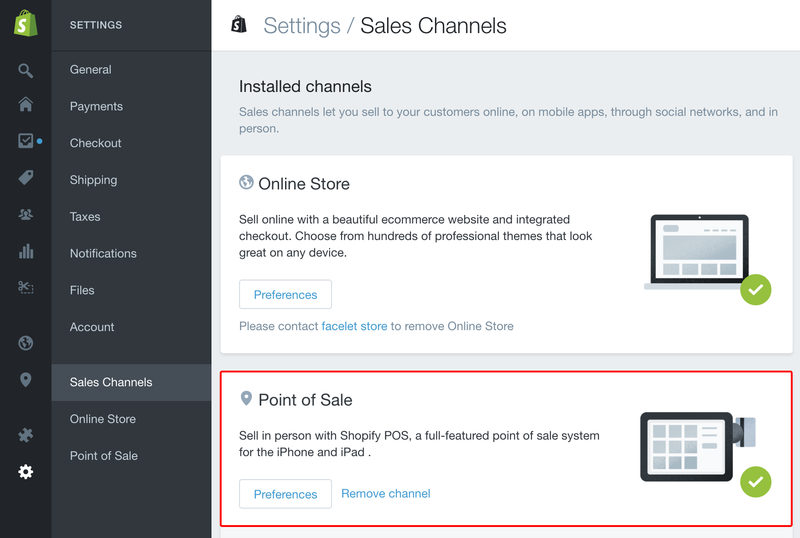 Make sure your Point of Sale channel is activated in your Shopify account. 2. 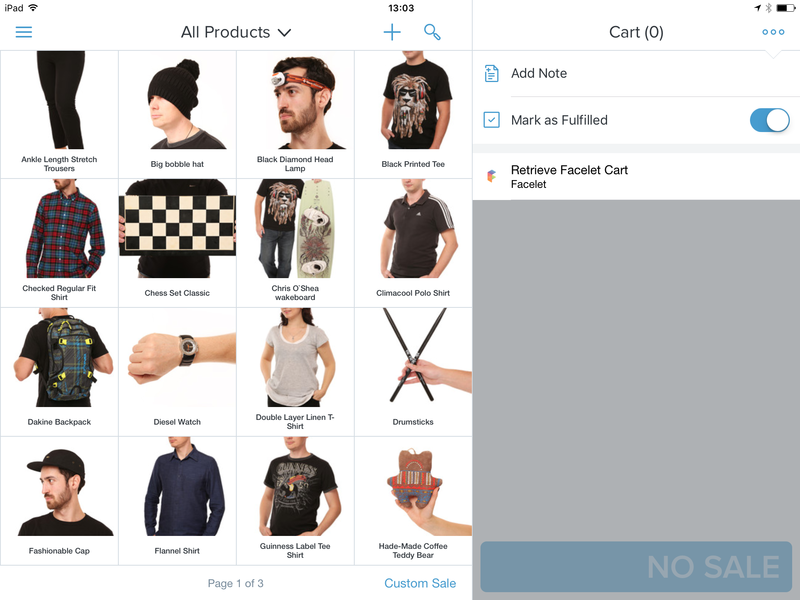 Set up Shopify Integration. 3. 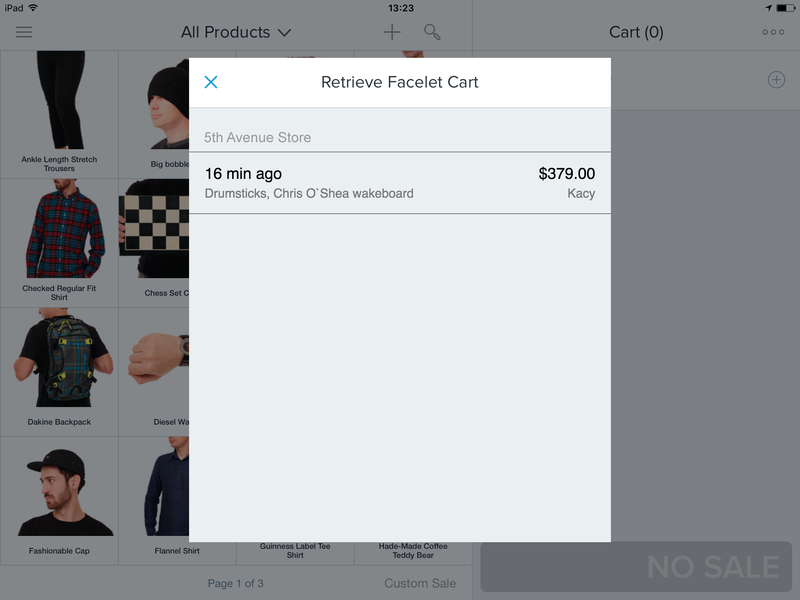 Go to the Shopify POS app on your iPad, click the icon in the top right corner. 4. Click Retrieve Facelet Cart. 5. The first time you will be asked to log into your Facelet account. 6. 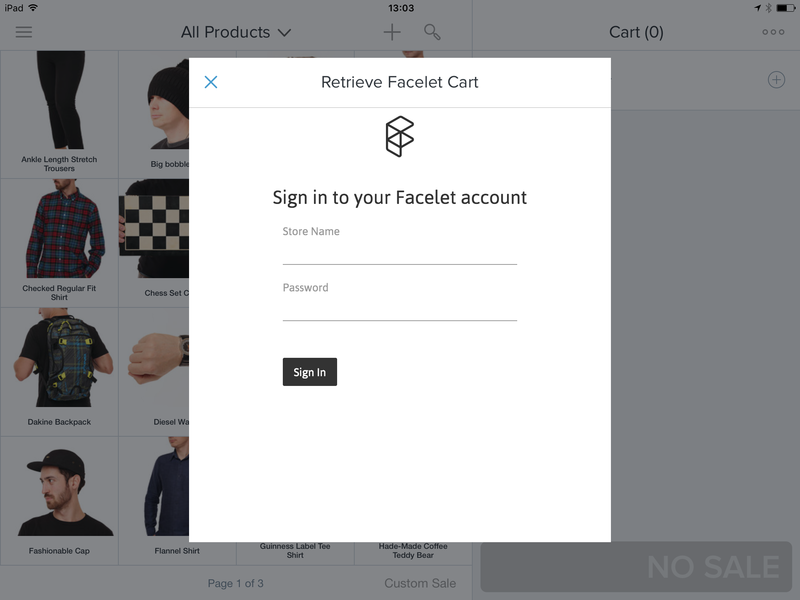 After log in you will see all carts created on Facelet kiosks. 7. 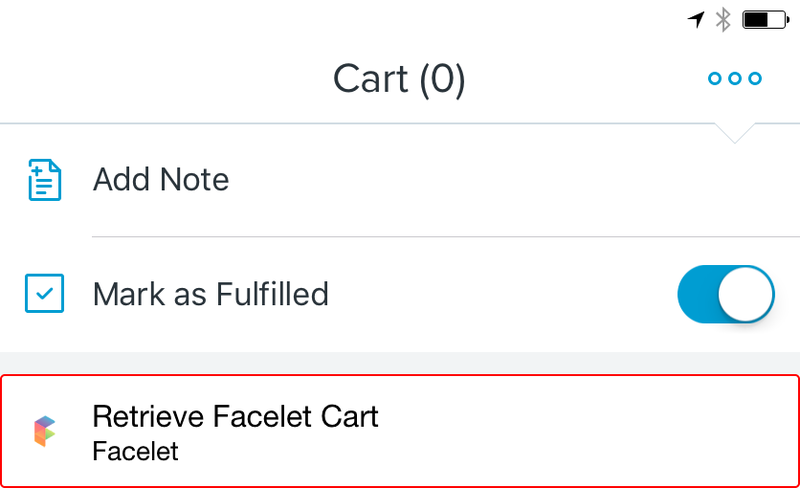 Click a Facelet cart in the pop-up and the products will move to your current Shopify POS cart so you can proceed to payment.